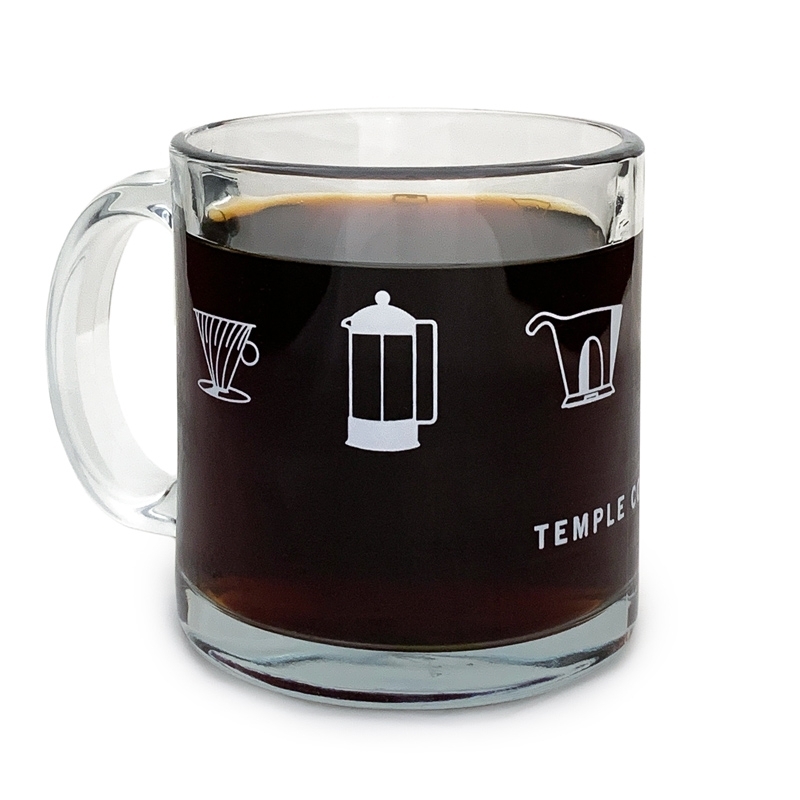 Brew Mug - Temple Coffee Roasters Inc. This nifty mug shows off the beloved brewing devices that help make your favorite cup possible. From left to right, admire the V60, French Press, Beehouse, Moka Pot, Chemex, and Syphon that float above the Temple name.